Some Australians are being slugged up to 880 per cent interest on small ‘payday’ loans or ‘rent now’ schemes. To most people, this is a patently bad deal, so what would motivate anyone to borrow such high-interest instant cash? With housing and energy bills at historic highs, small loans have exploded. According to ASIC, the number of people borrowing small loans – instantly approved in most cases – has increased by over 75% in just 10 years. With a staggering 21 per cent of Australian households claiming no access to emergency cash, the speed and convenience of small loan lenders exploit the desperate situations of the most vulnerable Australians. These products are geared towards repeat borrowing according to Fiona Guthrie, Executive Director of Financial Counselling Australia. “The twist with these loans is that many people find they can’t pay them off and so they have to get another loan to pay off the first one,” she said. 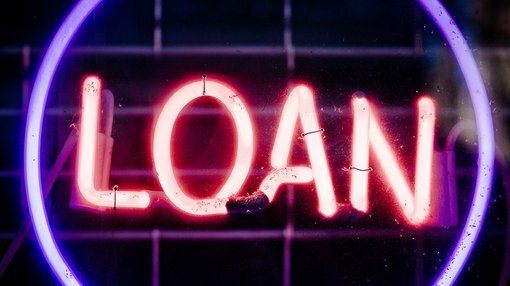 Research indicates that over a million Australians are taking out between three to five loans annually, with 40 per cent of small loan customers borrowing more than 10 times a year. Infamous franchise Cash Converters is one of the major players in the payday lending market, and has attracted significant scrutiny in the past. The pawnbroking giant was hit with a $17 million class action in March 2016, which accused the company of charging a ludicrous 420 per cent against vulnerable borrowers. After an extensive investigation, ASIC ordered the company to refund eligible consumers $10.8 million. It also issued Cash Converters a $1.35 million fine after it found it had failed to verify consumers’ expenses and prior credit history before approval. “Payday lending is a high priority area for ASIC, and we will continue to pursue lenders who do not follow their responsible lending obligations,” said ASIC Deputy Chairman Peter Kell. While Cash Converters has traditionally dominated Australia’s short-term high-interest loan market, new competitors have arrived on the scene in recent years. Nimble is one of a long list of alternatives offering a similar service. Nimble has been aggressive in its free-to-air television advertising for several years now, portraying its ‘smart little loans’ as fluffy and innocent. Yet ASIC wasted no time going after the sketchy lender, ordering Nimble to pay $1.5 million back to over 7,000 customers. In a review of Nimble’s practices, the watchdog found ‘significant deficiencies’ in its approval and compliance processes, with the company also ignoring repeat borrowing from customers. ASIC’s Peter Kell noted that the outcome was yet another example of the Commission’s strong focus on the payday lending sector. Consumers Federation of Australia chair, Gerard Brody, has advocated for the government to do more about fast cash lenders, with some charging up to 200% upon missed repayments. “These industries prey on people on low incomes or in tough spots, trapping them in high-cost products even though they may be struggling to pay for the basics like rent and food,” he said. Kelly O’Dwyer has since promised to reign in the sector, with the Minister for Revenue and Financial Services pledging to increase consumer protection and limit excessive lending. In the meantime, a mind-boggling sum of interest payments will be paid out by those who can least afford it.